Improve business performance and efficiency, as well as reduce your costs with Midshire Leased Lines. If you’re looking for a business broadband service with access to your very own dedicated broadband line, with guaranteed upload and download speeds, a Midshire Leased Line is what you need. How fast is my broadband? Is a question we have all asked ourselves. For most business owners, the broadband connection speed is the most important factor when choosing a new provider. However, just because your provider says you can get a certain speed, more often than not, when you run a speed test, you notice you aren’t actually getting what you pay for. This all changes with Midshire Leased lines. With Midshire Dedicated Leased Lines, it is the equivalent of having your own broadband line straight to the World Wide Web. As you don’t share the bandwidth with your street or industrial estate, you can have complete control over the speeds you receive. As well as having complete control, with a leased line you are guaranteed symmetric download and upload speeds. This is essential when using wireless devices, uploading vast amounts of data, streaming content, data sharing and using VoIP. Leased lines can also give you the ability to change your bandwidth when needed. Whatever the speed, you can rest assured that with seasonal demands, you can control your costs by paying for what you need, when you need it. A leased line connection will offer your business the flexibility to increase your business broadband bandwidth up to 1Gbps. No matter the leased line solution you opt for, your organisation will experience the fastest, quality internet connection, allowing you to share information instantaneously, privately and securely, at a competitive price. If you want to converge your voice and data, Midshire leased lines are the ideal solution for your business. Leased lines are most suitable for large premises and multiple office organisations where data is critical, and there is substantial data usage. 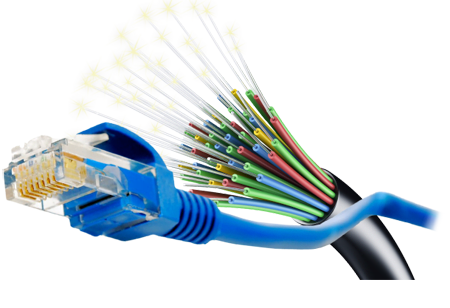 EFM Ethernet is the entry level Ethernet broadband service for lower bandwidth demands. EFM Ethernet provides industrial capable internet to the door of your business. Ethernet broadband is a symmetrical broadband service; this means the upstream and downstream are the same. This offers businesses introduces speed and reliability improvements. Bandwidth is not shared, so does not slow down at specific times or periods, and remains consistent unlike other broadband circuits which compete at peak times for bandwidth. – Fibre Ethernet is a similar yet more accessible type of connectivity for a business in comparison to EFM Ethernet. – Fibre Ethernet is deployed over Fibre optic cabling and can offer businesses speeds between 3Mbps and 10 Gbps. – A Fibre Ethernet connection is most suitable for businesses which require heavy data usage.